When someone launches PaintShop Pro 2018 for the first time, this is what they will see. 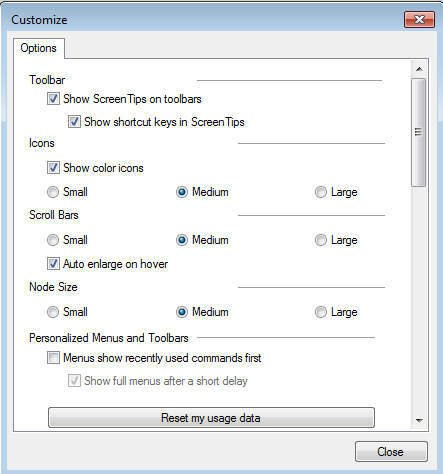 Although it is not obvious to the unsuspecting user, both workspaces are listed there, and by default, the Essentials one is selected. 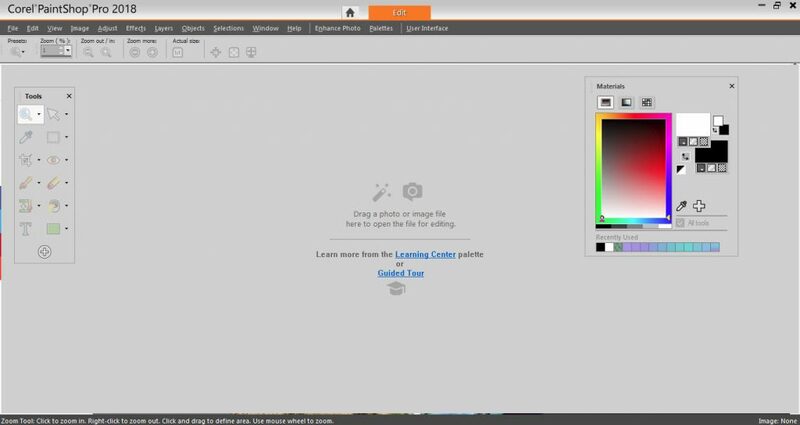 From this point, one could either click on the New button to create a new project or click on the Edit tab if they want to start editing images. If you don't notice that the Essentials option is selected and you go ahead and start to work, this is the workspace you will see appear. This workspace is clean, uncluttered and has lots of space to work. 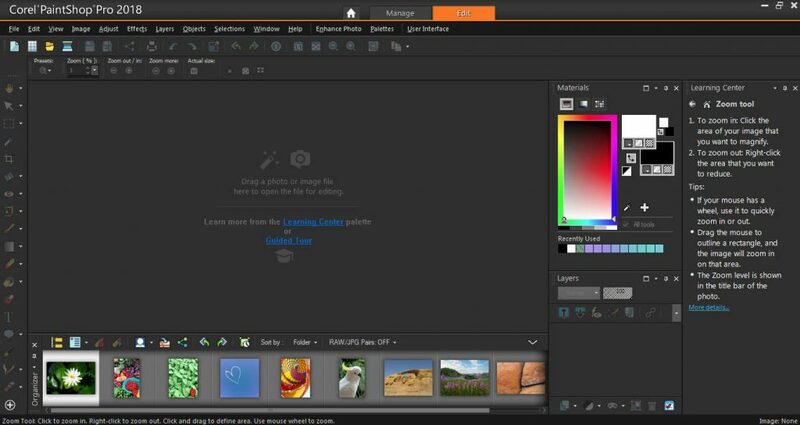 That is great if you are new to PaintShop Pro, but if you are already used to an older version of the program, you will immediately find that some sections, tools or commands are "missing", which might be quite frustrating. Notice how this workspace is more crowded as it has several palettes and toolbars that are "missing" in the Essentials workspace. 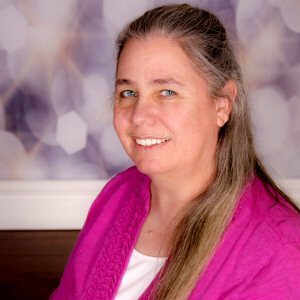 If you are new to the program, this could be overwhelming. However, if you are already familiar with the program, this will be a comfortable environment for you. Whether you are using the Essentials or the Complete workspace, you can always customize it. You can remove unwanted palettes from the Complete workspace. You can add tools to the Essentials workspace. You can change the colors and text size for both workspaces. Basically, you can use either workspace that suits you. Although most commands are still accessible in the Essentials workspace, a handful of them are really missing. 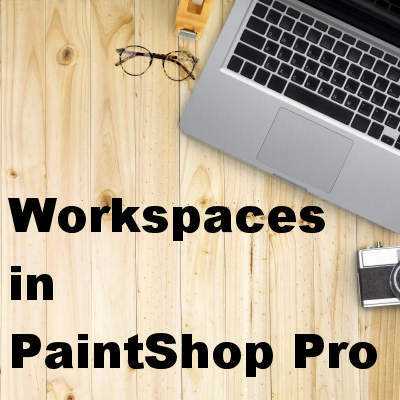 This is where the frustration can arise because the unsuspecting user will think they are removed from their PaintShop Pro, which is not exactly the case since they are all included in the Complete workspace. The "issue" is that the users don't know. 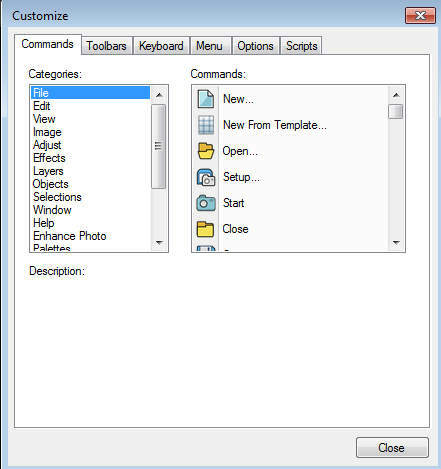 Many PaintShop Pro users have previously set the program to use resources outside of the default folders. 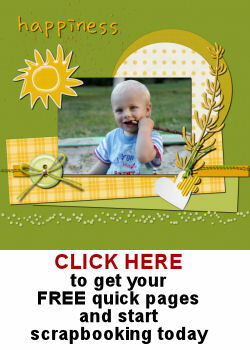 They have brushes, picture tubes, presets, patterns, etc. in other folders and they can point PSP to those folders with the File Location command, that is normally found under File > Preferences > File location. However, this is missing from the Essential workspace. If you want to use the Essentials workspace for your projects, you would need to change to the Complete one to set those File locations. 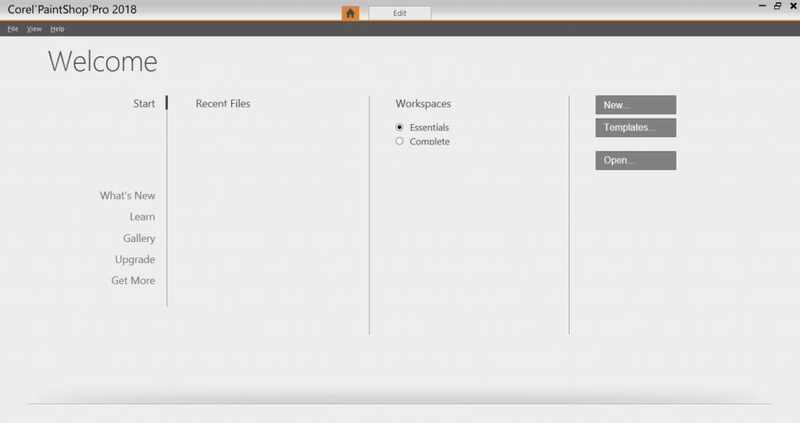 You can come back to the Essentials workspace after and the resources will be available. Have you upgraded to PaintShop Pro 2018 or 2019? If you have been wondering what happened to the interface, or where are those tools or commands, don't worry, they have not been removed from Corel. Just select the Complete workspace, and you will be back into familiar territory. That would be the organizer. You can access it with View > Palette > Organizer. Once it is open, it should stay open.